Don’t hurt your back moving your furniture. Our cheap furniture movers can get all that covered for you with burning a hole in your pocket. One of our cheapest and most popular options. Rentalorry can provide the vehicle and driver while you only need to load and unload your furniture. Furniture are more often than not large in size, assembled from various parts, cumbersome and heavy. All these are factors that explain why furniture moving services may be expensive. However, cheap furniture movers do exist and they can be found here at Rentalorry – your dedicated moving service provider. Rentalorry has a team of professional and cheap furniture movers. After getting a few quotes from different suppliers, Rentalorry provided the cheapest quote and they had experience shipping aluminium pipes before. Everything was done quite efficiently and we would use their service again. We needed a company to assist us with our cargo delivery operations. Met up with Charlotte and Syed and they were really professional and helpful. Have been using their service for one month and everything has been going smoothly. How Is Furniture Moving Expensive? The main bulk of the reason why furniture moving may be expensive is because of the large amount of additional work needed to move them. For certain larger furniture, disassembling may be required first to even move them out of the apartment. For other more delicate furniture, additional layers of protections have to be administered to protect it during the transportation. Wrapping the items with cling wrap or blankets prevents scratches and unnecessary damage. Making sure that your belongings are not damaged are also why you need to hire only professional movers. 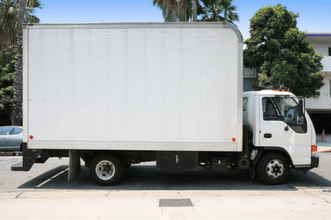 With most furniture weighing quite a lot, a factor contributing to the costs is the sheer amount of manpower needed to complete this job of moving the heavy furniture. Accounting for the fatigue level and economic trade offs, the costs may thus be pushed up by other furniture moving service providers in this particular aspect. The cheap furniture movers at Rentalorry are not only well equipped with the necessary tools and equipment, but also have valuable experience in providing moving services of all kinds. By finding the cheapest alternative to moving and finding solutions to get around potential problems, the cost is maintained affordable and cheap, benefiting customers who choose Rentalorry. Cheap and affordable but yet quality services – this is what Rentalorry stands for and upholds. From moving small furniture to moving office furniture, we have the necessary manpower and equipment to provide cheap furniture moving services.